James Clark served with the CCCI (Indian Division), working at Grand Portage and Nett Lake Camps. 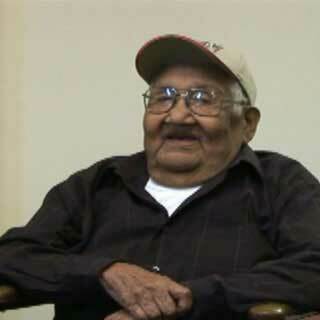 Mr. Clark was interviewed by Dr. Anthony Godfrey in 1992 as part of the Mille Lacs Ojibwe Social History Project. JC: I think the Indian Division did a lot of, most of their work on reservations. Of course, we did some - they cooperated with the state, the U.S. government. We did a lot of work outside of reservations. 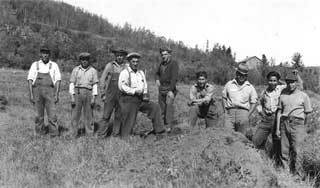 There was a CCC program even here on the reservation, but they lived at home. And they got, I think, a buck and a half a day. You lived at home, you get forty-five dollars a month. JC: But these guys that worked - the Indian guys that worked here - they worked in different places, like that dam down there, you know, that Buckmore [?] dam. They worked on that, and that was for the state. JC: So they didn't - it wasn't exclusively on the reservation. They worked different places, you know. AG: Do you know of other improvements around here that were CCC-improved - roads, maybe, or building? I don't know. JC: I think a lot of roads were improved by CCCs, both Indian and non-Indian. I don't know too much about what went on here. ...I did hear that they were - a bunch of them were working on the roads and stuff. Of course, they had the same program over in Hinckley, over at Lake Lena. AG: And what improvements did they do over there? I know you mentioned some stream improvement. JC: Yeah. These were non-Indian CCCs that did that, but a lot of the roads were improved by - county roads - by Indian people and some of the lake areas. AG: Did they do any tree planting over there? Do you know? JC: Yeah. They did. They used to go out in the woods, and they planted. It wasn't - they planted a lot of hardwood around there. It wasn't pine like everyplace else. Everyplace else they were planting Norway pine. These were hardwood things that they worked on out in the woods out there. 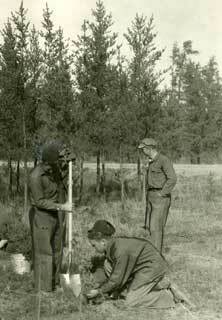 CCC boys planting trees, 1934. 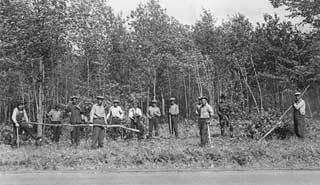 Civilian Conservation Corps crew(? ), Mille Lacs Reservation, 1938. Clark, James, and Dr. Anthony Godfrey, Interviewer. Mille Lacs Ojibwe Social History Project, Oral History, 1992. Mille Lacs Tribal Archives, Onamia, Minn.